EMR4Healthcare offers a comprehensive practice management & medical billing software package. - Daily and Weekly schedules. 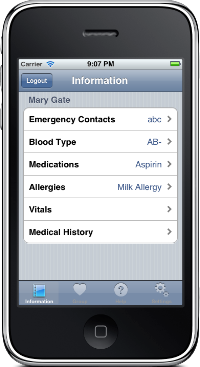 - Search functions allow quick access to scheduled appointments. Look up next available appointment by date, time, physician, or appointment type. - Allows more than one user to schedule appointments at the same time. - Flag patient bookings to indicate appointment status: no show, arrived, cancelled. - Optional Appointment Insert to squeeze in extra patients. - Password Security protection at key levels. - Reports on types of appointments and status of appointments by doctor.